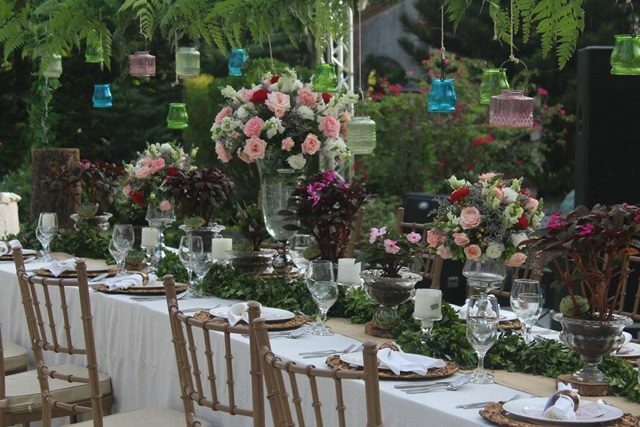 Soft colors, lovely flowers, and wooden accents dominated the rustic wedding of Mike and May at Hillcreek Gardens Tagaytay last May 23, 2017. 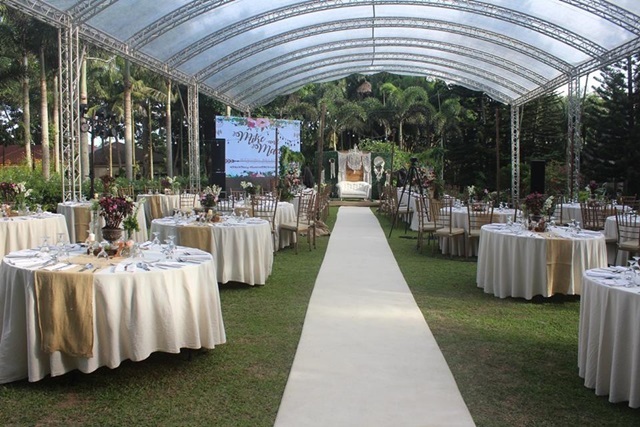 The said event, which had a very laid-back feel, made use of a wide array of flowers in pink, white, and red. 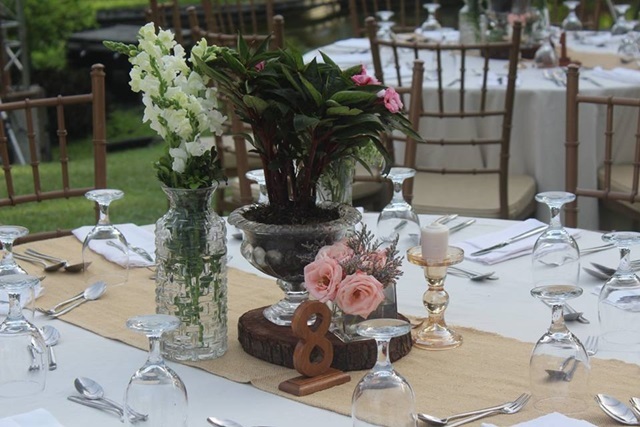 These were placed in crystal vases, perfectly matching the crystal candle holders and the colored mason jars hung over the presidential table. 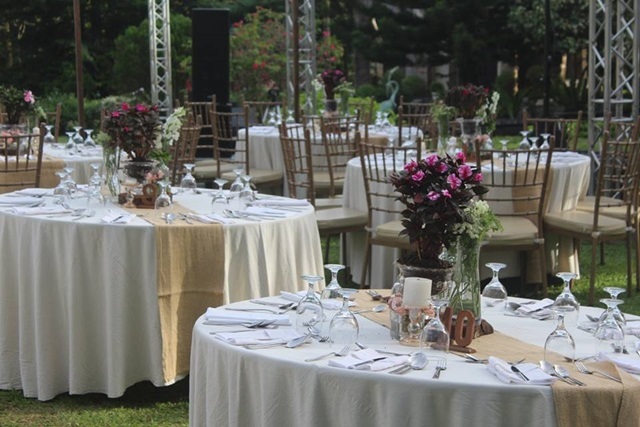 Even the earth-toned table runners and Tiffany chairs went so well with these elements. 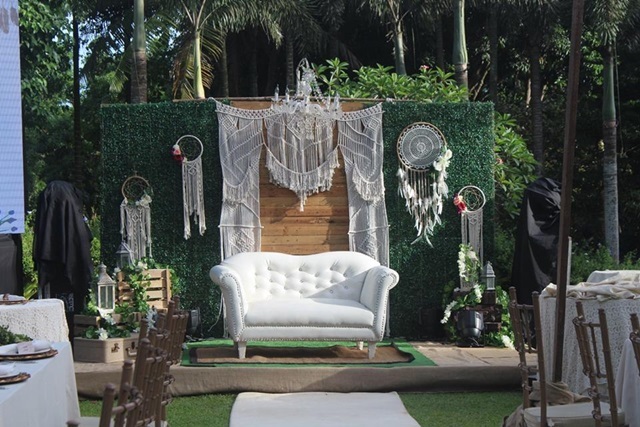 Of course, this rustic wedding would have not been completed without the presence of wooden accents. Pieces of chopped wood also gave character to the table setup. 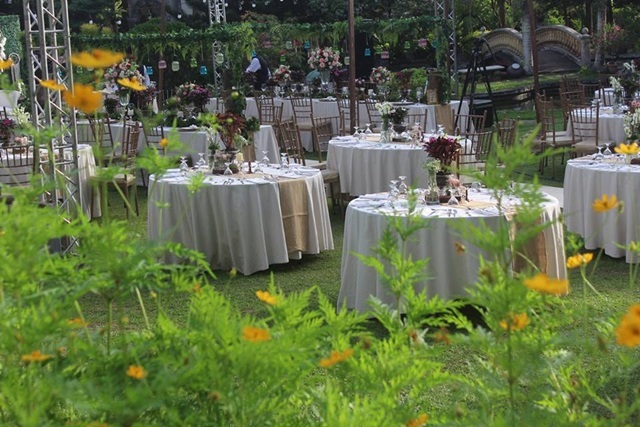 The event was also made even more charming by the wooden stage backdrop, sign boards, and table numbers. 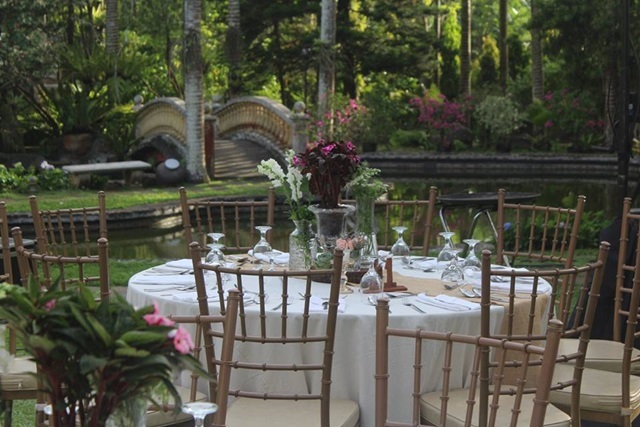 All photos are from Hillcreek Gardens Tagaytay.